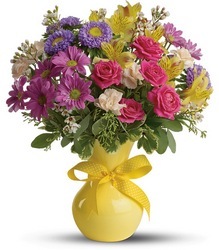 Swindler and Sons Florists, Inc.
As a leading florist in Wilmington, Ohio, Swindler and Sons Florist delivers quality flowers, arrangements, and gifts for all special occasions. 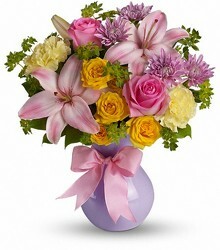 From birthday flowers to wedding flowers to get well flowers - all available for residence, hospital, and funeral home delivery - trust Swindler and Sons Florists to have just the right arrangement for you. 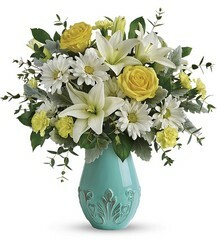 In Ohio, we make fresh floral, plant and gift deliveries Monday through Saturday to the following cities: Blanchester, Clarksville, Cuba, Leescreek, Martinsville, Midland, New Vienna, Port William, Reesville, Sabina, and Wilmington, Ohio. 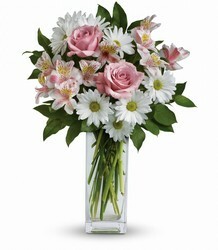 Browse the Swinder and Sons Florists website and order flowers online, or call our flower shop in Wilmington and speak with our experts. 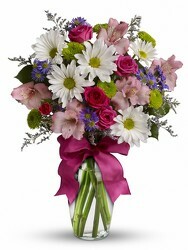 We deliver flowers to all of Clinton County! We also deliver to Clinton Memorial Hospital and Wilmington College. We deliver flowers locally to : Reynolds Smith Funeral Home, Smith Funeral Home, Littleton Funeral Home, Fisher Funeral Home, Fisher-Edgington Funeral Home, and Tufts Schildmeyer Funeral Home. 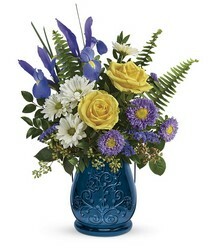 In our local area, we deliver flowers to the following Ohio zip codes: 45107, 45113, 45114, 45138, 45146, 45148, 45159, 45164, 45169, and 45177.